California 24 extends north from Interstates 580 and 980 in this scene looking northeast from Oakland. A Bay Area Rapid Transit (BART) line runs along the freeway median to Broadway. Photo taken 07/02/13. 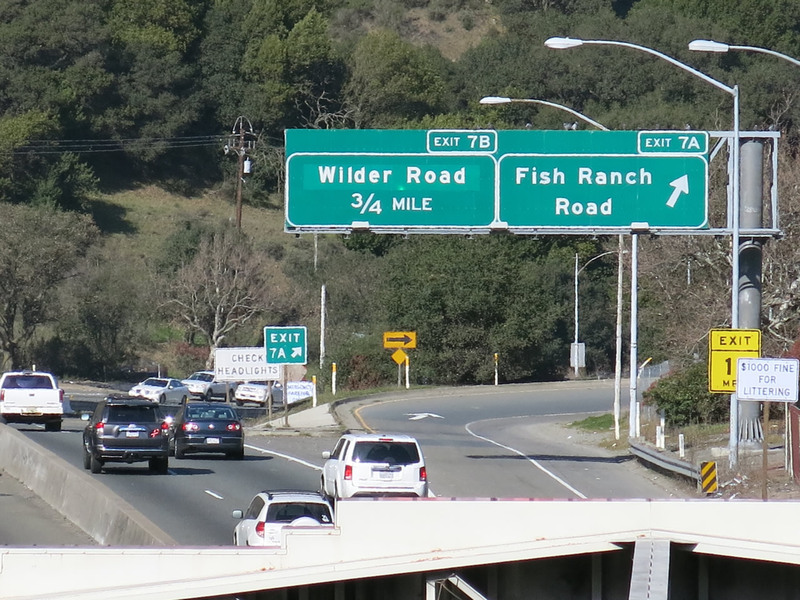 Traveling 13.5 miles from the San Francisco Bay area to Walnut Creek in Contra Costa County, California 24 follows the Grove Shafter Freeway and the William B. Rumford Freeway. 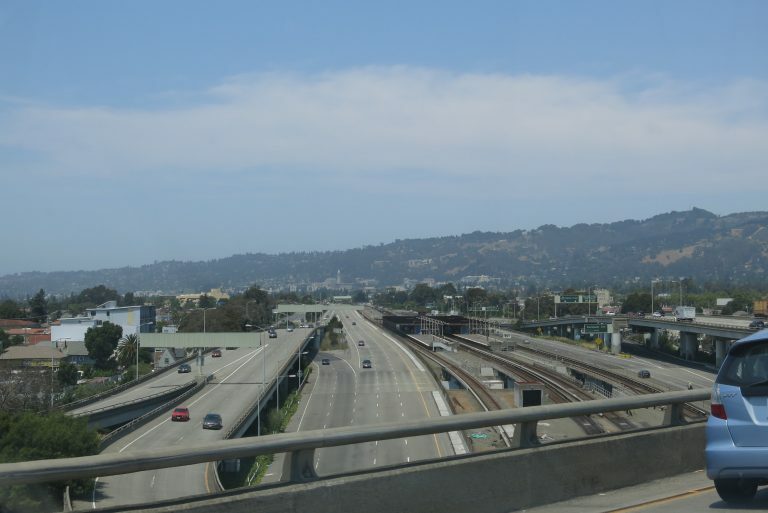 The commuter route links Interstates 580 and 880 (via I-980) in Oakland with the East Bay cities of Orinda and Lafayette and I-680 to Pleasant Hill and Concord. Climbing east from the Oakland and Berkeley urban area, California 24 traverses the Berkeley Hills through the Caldecott Tunnel. The four-bore tunnel under Sibley Volcanic Regional Preserve and Grizzley Peak Boulevard accommodates eight overall lanes. Traveling westbound along California 24 through the fourth bore of the Caldecott Tunnel. 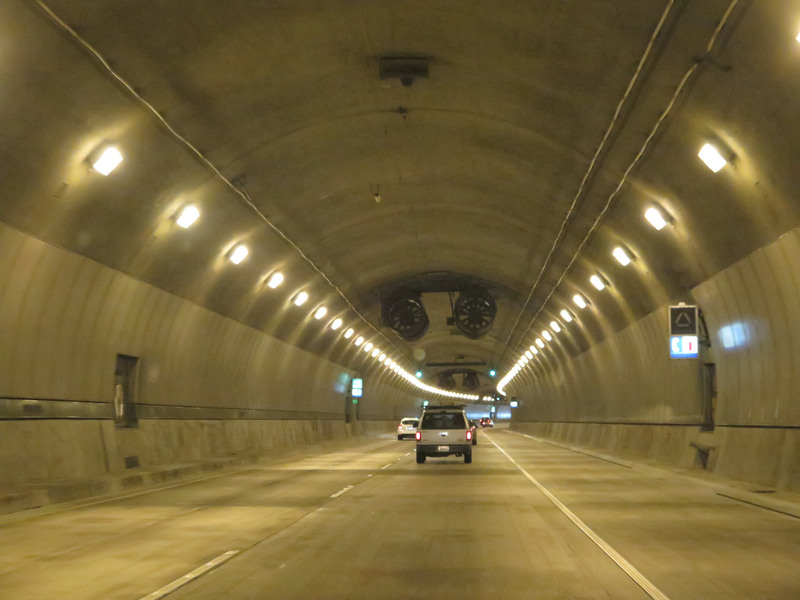 The Caldecott Tunnel accommodates eight lanes of traffic spread across four bores as it crosses the Berkeley Hills. Photo taken 03/07/15. Prior to constructing the Caldecott Tunnel, the Old Broadway Tunnel (also known as the Kennedy Tunnel) was the primary route connecting Oakland with Orinda and Moraga. 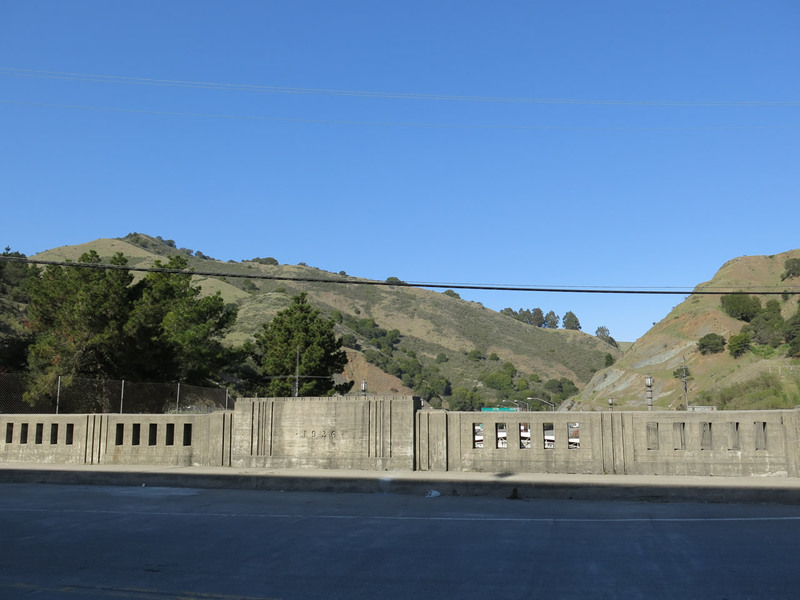 The Old Broadway Tunnel was built in 1903 at a point around 220 feet higher than the modern Caldecott Tunnel. It was 1,040 feet long and 17 feet wide. Plagued with problems, including mud slides, recurring repairs as well as insufficient room to accommodate side by side trucks and automobiles, an alternate tunnel was needed. The eventual opening of its replacement, the Broadway Low Level Tunnel, resulted in the closure and sealing of the Old Broadway Tunnel. 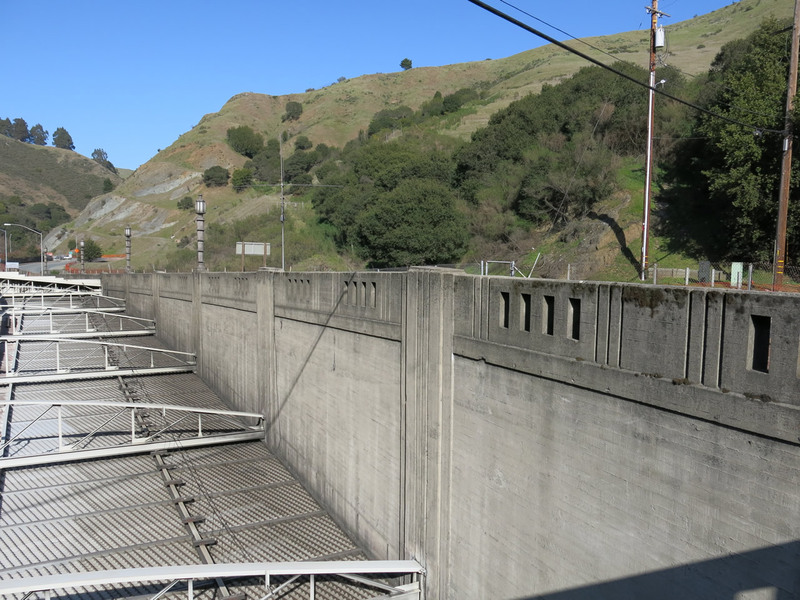 Three governmental agencies -- Alameda County, Contra Costa County and city of Oakland -- formed a joint commission in 1926 to determine the feasibility of a new tunnel to be located at a lower elevation than the Old Broadway Tunnel. Joint Highway District No. 13, created by the two counties in 1929, helped identify funding to design and construct the two-bore tunnel. Construction for what was originally known as the Broadway Low Level Tunnel began in 1934. The project built a pair of tunnels each accommodating two 11-foot wide travel lanes. The nearly 27 foot wide first and second bores measured 3,610 feet in length. An opening ceremony for the four-lane crossing took place on December 5, 1937. As California 24 was built and connected to the portals of the first two bores, the California Division of Highways studied alternatives to construct a second set of bores to double capacity. 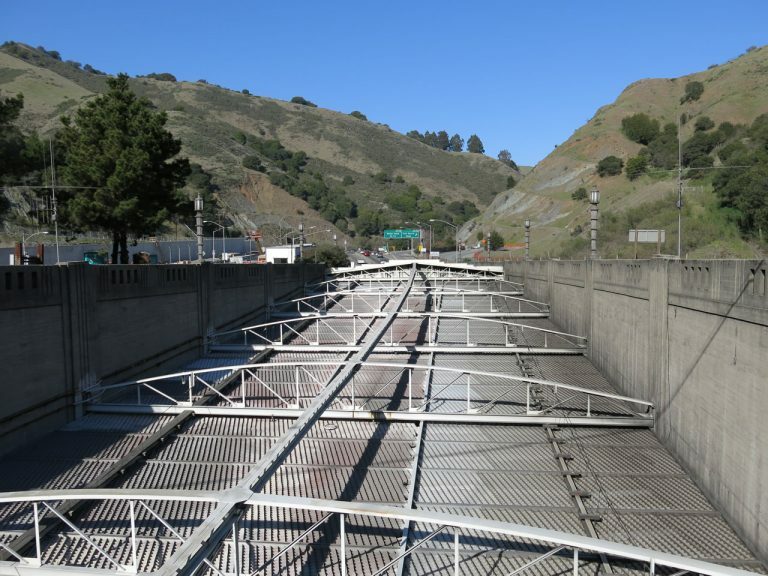 This ultimately led to the addition of the third bore for the Caldecott Tunnel. The 3,771 foot long bore opened along the north side of its predecessors in October 1964. The state route was subsequently reconfigured to use reversible lanes through the second (middle) bore. These would flow westbound during the morning hours and eastbound during the afternoon and evening. Together, the four bores are collectively named the Caldecott Tunnel, which honors Thomas E. Caldecott. Caldecott (1878-1951) served a variety of leadership roles around the San Francisco Bay Area, including mayor of Berkeley, member of the Alameda County Board of Supervisors and president of Joint Highway District 13. 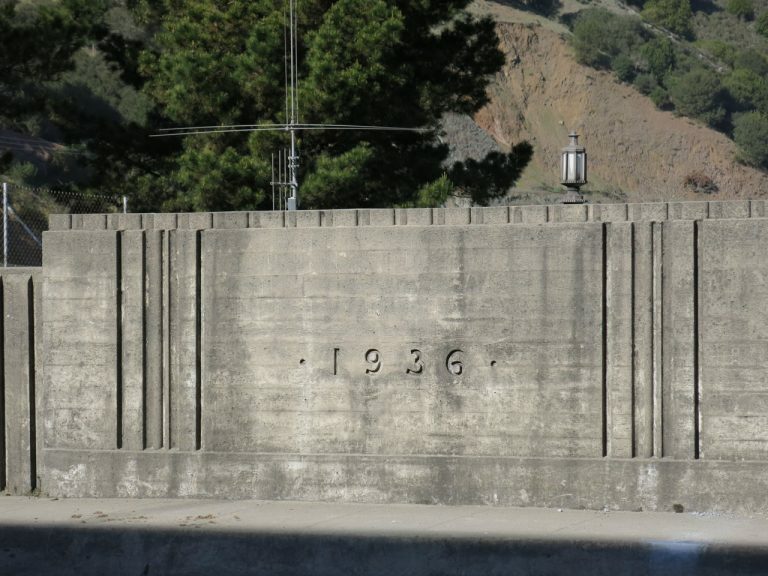 This series of pictures shows the 1936 date stamp and ornate concrete features located at the two southern tubes' eastern portals to the Caldecott Tunnel along California 24. Visible in these pictures is the continuation of California 24 east as it leaves the vicinity of the tunnel. Photos taken 02/17/13. Caldecott Tunnel Fourth Bore Project web site.